Before creating a Workflow trigger off of MA runs or other run history, you should validate and test your rules using the rule engine tester in Settings -> Test and Recovery -> Rule Tester. One way to trigger an error specific workflow is to inspect the DetailId property in the run history object. The Errors list contains references to detail objects, and these may be matched by Guid. 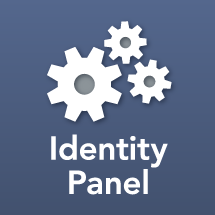 If you have a specific error identified using the Identity Panel history page, you may open the detail popup to find the detail Id. The following rule first filters to runs that had export errors, then finds a specific export error in the run result. Another way to trigger a workflow (or lookup error details to embed in a workflow email), is to use the ErrorDetail(detailId) function. The ErrorDetail function requires a database query to operate, so it should be used with care to avoid excessive iteration. The following example uses the Range function to make sure ErrorDetail will only be called at MOST 10 times. After upgrading to version 4.x the workaround is no longer required.